An acquaintance of mine invited us to support the IcanServe Foundation which is an organization dedicated to the promotion of early breast cancer detection. Most of us are aware of the likelihood and dangers of breast cancer, but the constant campaigns and reminders of organizations like this and the Breast Cancer Society of the Philippines, keep us on our toes when it comes to looking out for this disease. Some employees of private corporations have health benefits that include annual physical examinations that are usually scheduled on the birthday or birth month of the employees. Breast examination for women is also included in these annual physicals. Those of us who do not have such benefits need to educate ourselves on self-examination procedures or schedule our own annual physical exam with our family physician. Breast cancer is not a condition that should be taken lightly. Being proactive in detecting symptoms can save our lives. We can also do our part in educating the community by taking active part in breast cancer campaigns even without formally joining any foundation or organizations. We can participate and support events organized for such a cause. The Breast Cancer Awareness Month is celebrated on October each year. 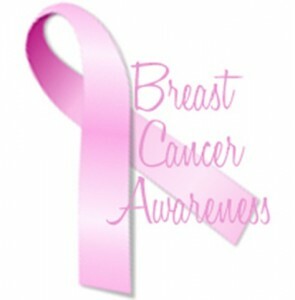 Here we can join events and activities while sporting cool attires or accessories that feature the breast cancer logo. Women like us need to pay more attention to health concerns like these especially since we have kids and family members who depend on us. Food Trends of previous year! What happened last May 2013?